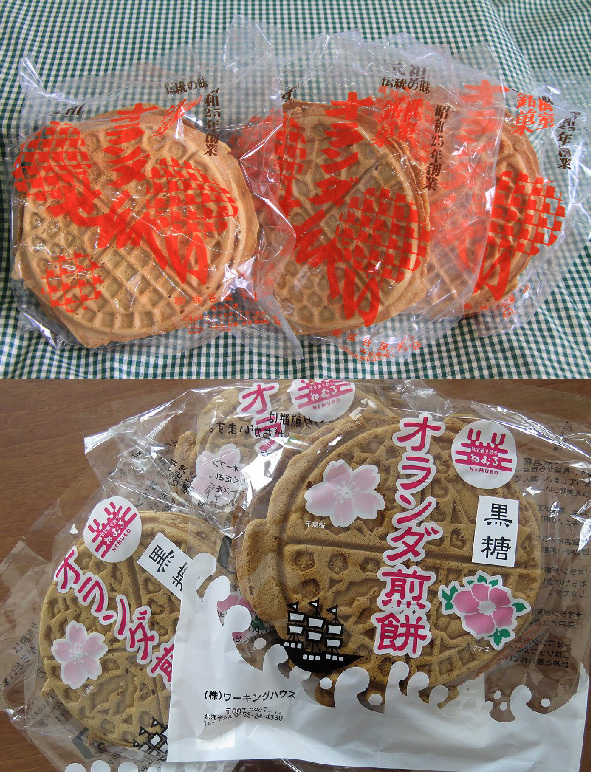 A thin and round waffle-like confectionery with an uneven surface and a diameter of about 16 cm. Its biggest feature is a peculiarly soft texture (=mouthfeel) generated by its moisture and elasticity. ------------------------------------------------------------------------------------------------------------------------ *This article was written and edited by the members from E-PAL.